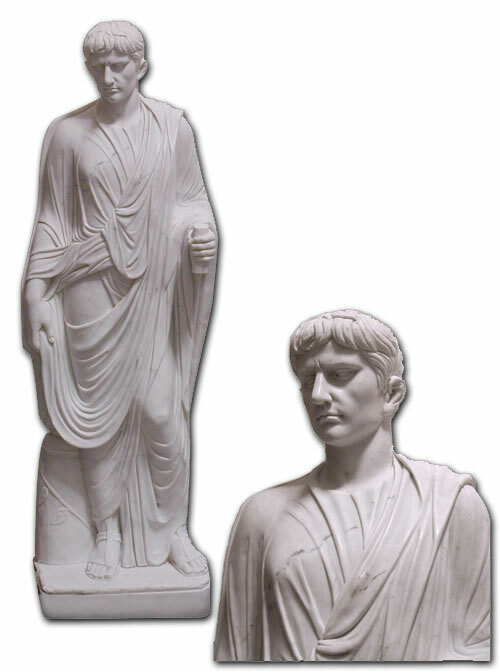 ** Please note: The picture above is of a past Caesar Augustus statue. This statue is similar but will have different marble characteristics since each is carved from a different piece of marble. Please call us at 1-800-419-1130 if you are interested in this statue and we will get the actual pictures taken for you.